Samsung may not be the fastest in pushing out major Android system updates, but the company does a much better job than most other Android OEMs when it comes to releasing monthly security patches. Even as many Galaxy users are eagerly waiting for the release of the Android Pie update for their devices, the company has been busy sending out the latest monthly security patch, also known as the Security Maintenance Release (SMR), to many of its devices. After rolling out the January SMR to the Galaxy Note 9, Galaxy S9, Galaxy S8, Galaxy A8s, Xcover 4, and others, the company has now released it to the budget Galaxy J6+. It appears the concerned update, carrying the software version J610FXXU1ASA3, has started rolling out in India just today. 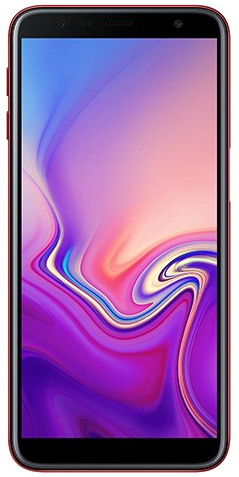 Samsung has been doing a commendable job at keeping the Galaxy J6+ updated as the budget device also received the November and December security patches in the last couple of months. As explained previously, Samsung’s January 2019 SMR patches many vulnerabilities of varying degrees, including three critical items, in the underlying Android operating system and Samsung’s software components on top of it. You can read about the vulnerability fixes included in the January 2019 update here. According to the brief changelog, the update also brings stability improvements to the camera. Users can check if the update is available from the Settings » Software update menu on the phone. Since Samsung adopts a staged rollout, it is possible not all devices in all regions will receive the update at once. For those who want to install the latest firmware right away, you can download the compatible version from our database.